Isn’t it? We can brag relentlessly about our knowledge on the advancement of science and technology today, but how much do we really know about the world we live? Have we blatantly and foolishly taken nature for granted? 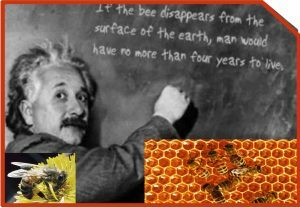 Sometime in 2006, the sudden, mysterious disappearance of honey bees in the United States, Europe and Brazil was a reminder of the quote attributed to the scientist, and a wake-up call for mankind. Beekeepers lost a bulk of their hives and suffered significant losses in honey production, and up till now are still stumbling over the understanding of this so-called “colony collapse disorder” syndrome and its cause. No one could explain why the bees became disoriented and failed to return to their hives! 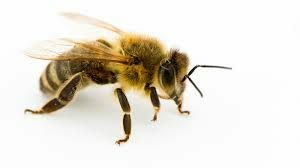 We are told that the honey bee is totally responsible for the pollination of over 90 fruit and vegetable crops worldwide, so it would be devastating if we were to lose a majority or all of our honey bee pollinators for these crops which are not self-pollinating and rely on the insects and other pollinators such as birds to help them reproduce. 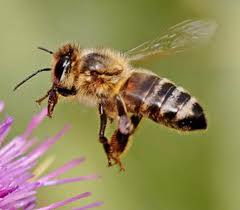 The bee is a fragile part of our system and an important indicator of our out of balance world. Their weird disappearing act has far-reaching implications for our agricultural food supply and is definitely not an issue to be ignored. Global warming accelerates the growth rates of pathogens such as the mites, viruses and fungi that affect the health of bee colonies. The unusual hot-cold weather fluctuations wreak havoc on bee populations which are accustomed to consistent seasonal weather patterns. Increasing use of chemical pesticides and herbicides, which honeybees ingest during their daily pollination rounds have weakened or killed them. Increase in atmospheric electromagnetic radiation as a result of growing numbers of cell phones and wireless communication towers. Cell phone radiation interferes with bees’ ability to navigate through the air. Today, Einstein‘s doomsday prophecy appears to be staring us right in the eye. But there is one last hope. A tiny biotech company in Toronto appears to have solved the problem he predicted would wipe out humanity. It might also be the most lucrative one, too.